A murder at an elite New England college tears apart a group of friends— one of whom is playing a dangerous game—in this electrifying debut in the tradition of In a Dark, Dark Wood and The Couple Next Door. In her first weeks at Hawthorne College, Malin is swept up into a tight-knit circle that will stick together through all four years. There’s Gemma, an insecure theater major from London; John, a tall, handsome, wealthy New Englander; Max, John’s cousin, a shy pre-med major; Khaled, a wisecracking prince from Abu Dhabi; and Ruby, a beautiful art history major. But Malin isn’t like the rest of her friends. She’s an expert at hiding her troubled past. She acts as if she shares the preoccupations of those around her—dating, partying—all while using her extraordinary insight to detect their deepest vulnerabilities and weaknesses. By Senior Day, on the cusp of graduation, Malin’s secrets—and those of her friends—are revealed. 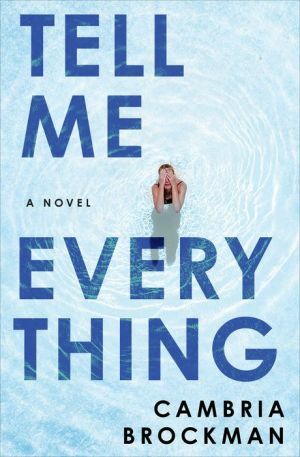 While she scrambles to maintain her artfully curated image, her missteps set in motion a devastating chain of events that ends in a murder. And as fragile relationships hang in the balance and close alliances shift, Malin must test the limits of what she’s capable of to stop the truth from coming out. In a mesmerizing novel that peels back the innumerable layers of a seductive protagonist, debut author Cambria Brockman brings to life an entrancing story of friendship, heartbreak, and betrayal.